Everlast Blacktop has been in the driveway paving business for over two decades. 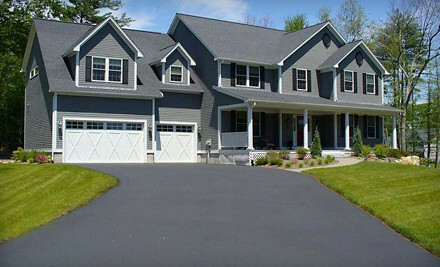 From blacktop driveway projects to driveway sealcoating and maintenance, we are the top company among driveway pavers. Our team has the cutting-edge solutions for your asphalt driveway, and they will take the time to explain and educate you thoroughly on your customized project. Attention to detail and outstanding customer service is what sets Everlast Blacktop apart from other driveway pavers in the Chicagoland area. We take great pride in the fact we have the equipment and skill needed for the most challenging driveway paving jobs. Part of the “Tri-Village” communities, Streamwood along with Bartlett and Hanover Park are suburbs of Chicago in northwest Cook County, Illinois. The village of Streamwood is focused on providing balanced growth, and a commitment to community-oriented public services to the population of 40,000 residents. As growth and expansion continue in and near Streamwood, many residents and businesses have trusted the experienced team at Everlast Blacktop. Committed to excellence in customer service and providing top of the line asphalt driveway paving services, Everlast Blacktop wants to be your driveway paving experts!